Believe it or not, 2015 is going to be history in just a few days. While we’re all excited to see what 2016 brings (including the grand opening of West Broad! ), first we need to send off 2015 in style. If you haven’t made your New Year’s Eve plans yet, don’t worry. We’ve made it easy for you this year by putting together this list of the best ways to celebrate New Year’s Eve in Falls Church, VA. Read on to find out what made the cut. No surprises here since Watch Night is well known as the biggest night out in the “Little City” of Falls Church. Watch Night has a more family-friendly orientation and it’s a great place to take the entire family on NYE. With face painting, obstacle courses, and magic shows, there is definitely enough to keep little ones entertained. For grown ups, there are live bands and DJs playing through the night alongside food from local restaurants. But most importantly at Watch Night, the famous Falls Church star drops at midnight, carrying on the tradition started in 1948. Are you ready to celebrate New Year’s Eve like it’s 1984? You’re in luck because The Legwarmers New Year’s Eve Party at The State Theatre is Northern Virginia’s biggest and best 80’s themed New Year’s party. With the phenomenal 80s cover band The Legwarmers guiding the way, you’ll be dancing to hit after hit until you actually think you’ve travelled back in time to the 80’s. This is a Falls Church favorite event for good reason. If you’re more interested in stuffing your face full of delicious food and great beer than dancing the night away, then head to the Dogfish Head New Year’s Eve Dinner this year. For $75 you’ll get a full 5 course gourmet meal, with dishes, such as Beef Short Ribs with Bourbon Demi Glaze & Sweet Potato Chipotle Mash, expertly paired with some of Dogfish Head’s finest beers, such as Midas Touch. 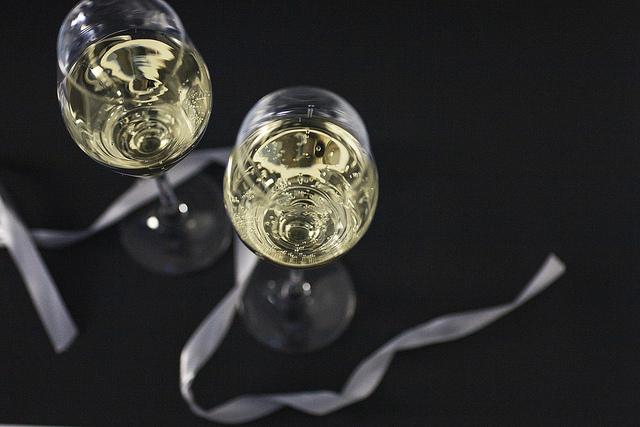 The party also includes a champagne toast, NYE party favors, and a Ball Drop Bash at midnight. If you want a well-balanced New Year’s Eve event that has a good mix of food, drinks, music, dancing, and midnight celebrations, the Mad Fox New Year’s Eve Celebration should be your go-to NYE event. Award-winning jazz guitarist Tom Principato will be playing all night along with a three-course dinner, a free drink, NYE party favors, and midnight toast. If you’re not interested in the food, which seems like a mistake with items like Shenandoah Prime Rib on the menu, you can opt out of dinner in exchange for a cheaper ticket. Either way, you’re in for a great night. Falls Church, VA is full of fantastic New Year’s Eve events perfect for ringing in the new year, so no matter what you choose to do, you’re sure to have a good time. Once you’re done celebrating 2015, look forward to 2016 by pre-leasing an apartment at West Broad today. Contact us to learn more about living in the heart of vibrant Falls Church, VA.